TORONTO – In the past two months alone, the number of majors at University of Toronto’s Jewish Studies centre, which had close to 2,200 students enrolled in its courses this past school year, has increased by 25 percent. By the spring of 2008, what had started out as an undergraduate Jewish studies program in 1967 evolved to become the Centre for Jewish Studies at University of Toronto (U of T), with Hindy Najman, associate professor of Ancient Judaism in the department of religion, as its director. Last year there were 11 departments and centres that collaborated with Jewish studies; now there are 20. And while there had been 40 faculty members, now there are more than 50. As well, the Jewish Studies doctoral program, launched four years ago, has tripled in size this year, and there is a new Master’s program with 12 incoming students to date. Indeed, an exciting addition is the Senator Jerahmiel S. and Carole S. Grafstein Fellowship to support advanced research in Jewish thought by post-doctoral academics from Israeli universities. 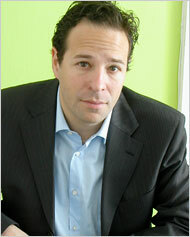 Dr. Sol Goldberg, a native Torontonian, holds a doctorate in Jewish philosophy from the Hebrew University of Jerusalem. Among the last students taught there by the late renowned philosopher Emil Fackenheim, Goldberg is the program’s first scholar and will be mentored by Jewish Philosophy Professor Paul Franks. “One of my major initiatives this year was to build a bridge between the Jewish community and the Centre for Jewish Studies,” Najman said. “The crucial thing for me is to promote Jewish literacy, to educate the next generation of leaders and to address matters of interest to the Jewish community.” This is the first of a series on U of T’s Centre for Jewish Studies. The next article will focus on its contribution to the Dead Sea Scrolls exhibit currently showing at the ROM. Chen Yiyi, a Peking University academic, said he was glad his institution was hosting the first major Israel studies seminar in China. “But you can’t imagine how much trouble it took to get here,” said Chen, a scholar on the Hebrew Bible and Jewish culture. Despite many obstacles in putting on the workshops this month, the seminar completed its week at the university with positive reviews from the participants before moving on for two more weeks at Shandong University in Jinan. As the most prestigious institution of higher learning in China’s capital, any programming at Peking University, or PKU, is subject to intense scrutiny. When the university applied for approval to host the seminar from the Ministry of Education, the application was immediately passed to the Foreign Ministry, Chen said. “They said an Israel studies seminar was a sensitive topic, could we cancel the seminar—or maybe rename it?” Chen recalled, saying the ministry wanted to omit the Israel studies aspect in the title. Israel studies programs are relatively new in China, where Hebrew language and Jewish cultural studies were around as early as the mid-1980s. PKU founded its Hebrew language program in 1985, mostly for national security reasons. While the Chinese are known for respecting Jews for the very reason they were historically demonized in the West—a fabled talent for money management – their Chinese impressions of Israel are more mixed. The idea of Jewish professors lecturing on topics such as Zionism or Islamic radicalism to a room of Chinese academics raised concerns among school administrators and government officials. China’s relationship to the Arab world played a part, too. China has become increasingly dependent on Middle Eastern oil, and countries like Saudi Arabia and Iran are relying more and more on Chinese markets. The growing affinity was a major factor in the Charles and Lynn Schusterman Family Foundation agreeing to fund the seminar. “China is now concerned with understanding the Muslim world,” said Ilan Troen, director of the Schusterman Center for Israel Studies at Brandeis University and one of the seminar lecturers….. Although Harry Truman left office widely disliked and dismissed more than half a century ago, the effort to resurrect his reputation is now a thriving industry, with politicians and pundits of all stripes trying to tie themselves to the tough, blunt old cold warrior. Contributing to this effort, the husband-and-wife team Allis and Ronald Radosh have written “A Safe Haven,” the story of Truman’s integral role in the birth of Israel. While some of Truman’s foreign policy accomplishments — the creation of the Marshall Plan, the United Nations and NATO, and his defiance of the Soviets — have gotten the credit they deserve, the Radoshes say, his involvement in the creation of Israel remains overlooked. That may not be quite right. Most modern histories already acknowledge Truman’s early support of the Jewish state; it’s hard to overlook the fact that he recognized newborn Israel just 10 minutes after its delivery. That said, what these histories don’t recognize — and here’s where the Radoshes make their contribution — is just how hard Truman had to work to get there, battling enemies, allies and many in his own administration to make certain that Israel made it to independence with American backing. It was, as the Radoshes make clear, a long, tough slog. Truman, who fell into the presidency unprepared after the death of Franklin Roosevelt, inherited a mess in the Middle East. The suave and urbane Roosevelt (one of the Radoshes’ villains) had pursued a policy of “obfuscation” on Palestine, assuring both Jews and Arabs that he was sensitive to their concerns. This meant that on taking office, Truman had to deal with a tangle of contradictory commitments. He also had to face down two implacable opponents of Jewish statehood: Great Britain, the colonial power in Palestine, and his own State Department, which bitterly opposed granting the Jews a homeland. 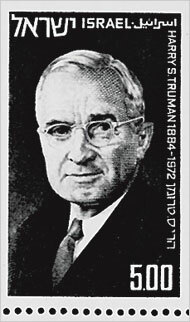 Yet Truman — a biblical literalist and a Christian Zionist — had long been a fierce believer in Jewish statehood for reasons both religious and moral. The Old Testament said that Jews belonged in Israel. And Truman was appalled by the Holocaust (which gave him nightmares), as well as by the scandalously poor treatment of postwar Jewish refugees in European displaced-persons camps. And so this “simple man” waged a long and often bitter diplomatic campaign to help ensure that the Jews got a country of their own…. I read “Israel Is Real” while preparing for my son’s bar mitzvah. By “preparing,” I mean talking to tent people and mailing invites. On the spiritual side, I’ve done my usual shirk: ducking services, doodling during sessions with the rabbi and dodging queries about my own bar mitzvah of wretched memory, celebrated in a gloomy temple filled with old men waiting for me to blunder. I mention this as preface because Rich Cohen’s book accomplished the miraculous. It made a subject that has vexed me since early childhood into a riveting story. Not by breaking new ground or advancing a bold peace plan, but by narrating the oft-told saga of the Jews in a fresh and engaging fashion. Gratz College president Jonathan Rosenbaum will step down Aug. 31 after 11 years at the helm, officials announced yesterday. Under Rosenbaum, the Melrose Park school developed its first online program in Jewish studies; established its first doctoral program, in Jewish education; started its Legacy Heritage Institute for Jewish Early Childhood Educators; and expanded its undergraduate and graduate programs, college officials said. Enrollment is about 240 in Jewish studies and 1,000 in the master of arts in education program. Rosenbaum, who will become president emeritus and professor emeritus of religious studies, is leaving to pursue writing and lecturing and spend time with his family, officials said. The college has begun a search for a new president. Founded in 1895, Gratz College was the first transdenominational college of Jewish studies in the United States and continues to teach Jewish studies and train Jewish professionals. Mohamed Hawary: What’s a nice Jewish studies professor doing in Egypt? “What’s a nice professor of Jewish studies doing teaching in a place like this?” For those unfamiliar with contemporary Egyptian intellectual life, this might be the first question that comes to mind upon meeting Mohamed Hawary, a professor of Hebrew studies and Jewish thought at Ain Shams University in Cairo, a teeming school of some 180,000 students. It was, Hawary said, the 1967 Six-Day War with Israel that ultimately moved him to turn his budding interest into a career. “Israel was the enemy, of course, of Egypt and the Arabs. But I thought it was important to know who this enemy was.” Motivated to pursue Hebrew language and Jewish studies, Hawary received his Bachelor of Arts in 1971 at Cairo University and completed his doctorate at Ain Shams. There, he wrote his doctoral dissertation on “The Divinity of the Children of Israel, From Moses to the Babylonian Exile.”…. One of the world’s most important archives of Jewish life, the YIVO Institute for Jewish Research, in New York, has a new executive director. Jonathan Brent, 59, lately the editorial director of Yale University Press and general editor of its celebrated Annals of Communism series, assumed the post on July 1. Unlike his work on the Annals series, his new job will not require that he be ready to drink and smoke heavily. He laughs heartily when that subject comes up. He secured his reputation as one of America’s leading academic editors by venturing to Russia, beginning in the early 1990s, to explore the vast archives of Soviet-era power. He says he encountered many lazy, venal, and anti-Semitic archivists who had become chiefs of small fiefdoms in a tattering system, and he found that nothing opened their doors as effectively as cartons of Winstons, Western-style food, and plenty of Jack Daniel’s. Experts in Soviet history and politics have hailed the Annals series as one of the most ambitious archival publishing projects of all time. It has breathed new life into Soviet studies with 20 volumes, most of them edited collections of documents on such key events as the Great Terror, collectivization, and the gulag. The series’ first publication was Harvey Klehr, John E. Haynes, and Fridrikh I. Firsov’s The Secret World of American Communism (1995), which shocked even true believers by detailing how much the American branch of the party had been at Moscow’s beck and call…. For those unfamiliar with contemporary Egyptian intellectual life, this might be the first question that comes to mind upon meeting Mohamed Hawary, a professor of Hebrew studies and Jewish thought at Ain Shams University in Cairo, a teeming school of some 180,000 students. Genizah Go-To Guy: Mohamed Hawary’s expertise on Cairo’s Jewish treasure trove is valued by colleagues worldwide. Hawary, 59, is considered to be the doyen of Jewish studies in Egypt. A world-renowned scholar of Judaism, the author of numerous books and articles on a wide range of Jewish subjects, Hawary is also a practicing Muslim and a proud and patriotic Egyptian. The Forward recently interviewed Hawary in Cairo, where both he and this reporter were attending an interfaith conference at Al-Azhar University. In 2008, the German city of Munich celebrated its 850th birthday amid much fanfare, and various cultural institutions were asked to mark the occasion. When the recently opened Jewish Museum was approached, it reacted with ambivalence. Indeed, for nearly half the history of Munich — more than 400 years — Jews were excluded from taking part in the life of the city. This is where Bernhard Purin, the museum’s director, stepped in. Last September, the museum unveiled its contribution to the festival year, City Without Jews: The Dark Side of Munich’s History, a stark and effective exhibition about the various persecutions and expulsions that formed the bedrock of Munich’s history of antisemitism long before the Holocaust. The exhibit runs until the end of August. Opened in May 2007, the Jewish Museum Munich is the youngest Jewish museum in Europe. The contrast to Jewish Museum Berlin — Germany’s most famous such museum — could hardly be more striking. Where the Berlin museum attempts an exhaustive history of the Jewish experience in Germany, starting with the Middle Ages and leading up to the present day, the approach favored by Munich is to represent the history of Jews in that city via a compact and thoughtful permanent collection that combines interactive installations, artwork and a few well-chosen ritual objects and historical artifacts. A visitor can take in the exhibit in less than an hour, before making his way upstairs to view the changing exhibitions. The same impulse for compression characterizes City Without Jews, which tells its story through a dozen small displays of representative objects and video interviews. For instance, the pogrom of 1285, sparked by accusations of ritual murder, where between 68 and 187 members of Munich’s first Jewish community were locked inside their burning synagogue, is signified by a 19th-century edition of the Nuremberg Memorbuch, the 1296 commemoration of prominent community leaders and martyrs compiled by the Nuremberg Jewish community. The 1349 accusation of host desecration — a common medieval accusation that the Jews abused the consecrated host in order to repeat the suffering of Christ — is represented through a 1624 painting, which was displayed for nearly 200 years in Munich’s St. Salvator Church. The old folklorist legend of the Wandering Jew inspired artists from Heinrich Heine to Richard Wagner before the Nazis twisted it to embody all the degenerative traits they ascribed to the Jews. This phantomlike figure that has, over time, emblemized the internal experience of Jews in the Diaspora is represented by a coat stand with an umbrella and an old edition of the newspaper Frankfurter Zeitung; it is a reference to a Lion Feuchtwanger story in which the Wandering Jew is spotted in Munich’s famous Odeon Café, reading a newspaper. The Nazi persecution and mass murder are metonymically represented by an empty trunk with the initials of its last owner, Rosa Picard. A businesswoman from Munich, Picard filled the trunk with valuables and entrusted it to a Christian family before she and her family perished. A counterpoint to this decidedly downbeat exhibition is the three-part series of temporary installations, Places of Exile. “We wanted to answer the question:Where did the Jews of Munich live when they were not allowed to live in Munich? So we looked for three places of exile,” Purin explained. After exhibits on Istanbul and Tel Aviv, the final installment, on display until August 30, looks at New York City’s Washington Heights, which became the center of Munich’s exiled Jewish community during World War II. In particular, the exhibit focuses on Beth Hillel Synagogue, a Conservative congregation founded in 1940 by the chief rabbi of the Munich Jewish community, Leo Baerwald, who had fled Germany. The first services, held on Rosh Hashanah of that year in the Paramount Hall on 183rd Street, attracted 800 people. Initially, services were held in German and followed the tradition of southern German Jews, known as Minhag Schwaben. German Jews were such a prominent minority, and so much German was spoken on the streets of Washington Heights in the 1940s and ’50s, that they ironically nicknamed the neighborhood “Das Vierte Reich” — or the Fourth Reich. In the first decade, the congregation grew to 750 families from 200 and moved into a former post office at 571 West 182nd Street, just south of Yeshiva University. As members became more assimilated and prosperous, services were increasingly held in English. Throughout the 1960s and ’70s, the congregation was in steady decline caused by suburbanization and the new waves of immigrants from the Dominican Republic, which changed the demographic of the neighborhood. In 1980, Beth Hillel merged with the Orthodox Congregation Beth Israel and, despite ever-shrinking numbers, managed to survive until 2000, when it finally closed its doors. Today, the building on 182nd Street is home to a department store. Purin’s co-curator for the project is Celia J. Bergoffen, an urban archeologist who excavated the Eldridge Street Synagogue mikveh in 2001. Together with Purin, she conducted interviews with members of the community and tracked down pertinent artifacts. “It was funny to see that they were very professional in talking about their childhood in Germany, because that’s what they are doing in schools and for the [Steven] Spielberg video project, but they never were asked about the other 80% of their lives, which started in 1939 or 1940, when they were teenagers in Washington Heights,” Purin explained. Among the surviving congregants of Beth Hillel is Eric Bloch, a professor emeritus at Albert Einstein College of Medicine, who was born in Munich in 1928. In an interview with Bergoffen, he discusses the role that the congregation played in easing the transition to America: “I think the importance of Beth Hillel and the other Jewish congregations was to help immigrants establish themselves in the new country. They were a very important source of support.” The interview is published in the exhibition brochure, which can be ordered, free of charge, from the museum. Among the items installed in the exhibition are two memorial stones from Munich’s destroyed main synagogue and a yellow Jewish star that wound up at a synagogue in Paramus, N.J. Another relic is the parochet (ark curtain) from Beth Hillel, which was found in 2002 at a Berlin flea market. “It is in some ways a little bit funny that the history of this congregation in Washington Heights will now be kept in Munich,” Purin mused. City Without Jews: The Dark Side of Munich’s History and Places of Exile 3: Munich and Washington Heights are on view at the Jewish Museum Munich until August 30. A.J. Goldmann is a writer based in Berlin. His articles on art and culture have appeared in various publications, including The Wall Street Journal, USA Today and The Christian Science Monitor. Towson and BHU cooperate to bring three new Jewish programs to Univ. Jonathan D Sarna*, Professor of American Jewish History and Director of the Hornstein Jewish Professional Leadership Program at Brandeis University, Mass, USA, delivered the JPR William Frankel Memorial Lecture in July in the auditorium of Berwin Leighton Paisner, in association with the Jewish Chronicle. The lecture was chaired by Harold Paisner, Chairman of JPR. Professor Sarna gave a stark warning that over the coming year, the Jewish community would have to make difficult decisions concerning ‘who will live and who will die’ in Jewish communal life. He predicted that organizations that were weak or undercapitalized before the recession were the least likely to survive. 1. He observed that some Jewish organizations in the United States either have, or are close to being merged into non-Jewish organizations. He said that today Jews seemed confident — maybe too confident — that deals could be made with secular non-Jewish or even avowedly Christian organizations, without Jewish identity being lost. 2. Efforts to re-engage small donors. Historically, large, wealthy donors have always dominated Jewish philanthropy. Today they are cutting back, but new technologies have made it easier to re-engage small donors cheaply. 3. Calls for higher standards of ethics and greater transparency in Jewish philanthropy. Madoff losses, investment losses and nationwide dissatisfaction with high executive salaries and perks are affecting the nonprofit world. Donors, and in some cases governments are demanding more financial openness, greater disclosure of conflicts of interest, and less reliance on the wisdom of a small, wealthy clique. He predicted that Jewish non-profit organizations would be stronger in the years ahead, if these reforms were instituted. 4. A new focus on ‘sweat equity’. Young, creative, technologically savvy Jews will give time to causes that inspire them. The goal is for them to make a difference and, also, as a side benefit, to socialize. 5. Both demographic decline and greater aliyah as jobs disappear in the diaspora. Demographic decline frequently accompanies prolonged downturns: people simply do not feel secure enough to have children. Professor Sarna warned that this will have a ripple effect on Jewish education and communal life. And with unemployment for young people at the highest levels in decades, it was no surprise that Jews were turning to aliyah, especially the Orthodox. He explained that these changes underscore one of the great demographic transformations in contemporary Jewish life: Israel is overtaking the United States as the largest Jewish community in the world. Indeed, while Israel’s demographic rise marks the ultimate triumph of Zionism, for the rest of the world, however, this development will demand adjustments in communal thinking and the flow of money and power. Professor Sarna predicted that when the economy recovers, we will know much more about the changes that the ‘Great Recession’ has wrought, but it was still far too early to take their full measure now. First, will the years ahead be marked by assimilation or revitalization? It was easy to make the case both ways. For example, one week we hear that intermarriage is going through the roof, and the next that, in some communities new Jewish day schools are bursting at the seams. So which will predominate – assimilation or revitalization? The truth is, he said, that nobody knows the answer. It would be determined day by day, community by community, Jew by Jew. The second question is whether the Jewish community will be able to identify a mission compelling enough for young Jews to become passionate about and rally around? The great causes that once energized contemporary Jewry – immigrant absorption, saving European, Soviet, Arab and Ethiopian Jewry, creating and sustaining a Jewish state–have now been successfully completed. Today, for the first time in memory, no large community of persecuted Jews exists anywhere in the diaspora. Nor will 21st century young western Jews gain the kind of meaning from helping Israel, keeping alive the memory of the Holocaust and fighting antisemitism that their parents did. In the meantime there is no shortage of secular and universal causes that attract young Jews, as well as social justice organizations directed at Jews. Jews are also embracing programmes to promote conservation, environmentalism, and the like. These are significant causes, with a sound basis in our tradition, Professor Sarna said, but they are not, ultimately, Jewish causes, in the way that Zionism and the Soviet Jewry movement were. He concluded that Diaspora Jews are the poorer for not having a well-defined, elevating mission to inspire us. Once the economic downturn is behind us, he called for the goal of formulating a new and compelling mission for our Jewish community to be high on our collective agenda. *Professor Sarna is a leading commentator on American Jewish history, religion and life, and the author of many books, including the acclaimed American Judaism: A History. He is the Joseph H. & Belle R. Braun Professor of American Jewish History at Brandeis University and Director of its Hornstein Jewish Professional Leadership Program. Dubbed by the Forward newspaper in 2004 as one of America’s fifty most influential American Jews, he was Chief Historian for the 350th commemoration of the American Jewish community, and is recognized as a leading commentator on American Jewish history, religion and life. Gary Tobin, a prominent Jewish researcher who challenged conventional Jewish wisdom, has died. Tobin, the president of the Institute for Jewish & Community Research in San Francisco, died late Monday following a long illness. He was 59. Tobin, who was known for his provocative research, urged the community to be more open to converts, arguing that it was a viable way to grow Jewish numbers. He also was a fierce critic of the National Jewish Population Survey, claiming that its methodology was flawed and that it had undercounted American Jews by more than 1 million. His work also addressed Jewish philanthropy and community diversity. “Gary was a visionary about the Jewish community,” said Leonard Saxe, a professor at Brandeis University who succeded Tobin as director of the Cohen Center for Modern Jewish Studies there. “He identified problems and issues in the community and often developed these really creative analyses, whether it was about the role of synagogues or the makeup of communities and more recently about philanthropy.” The funeral was scheduled for Thursday. The American Declaration of Independence embodies a doctrine of revolution. The Declaration teaches us that the people of any country are not obliged to obey the laws of the State if these laws violate the “Laws of Nature and of Nature’s God.” But who is to judge whether the laws of the State violate the “Higher Law”? This question involves another: “Where is the supreme authority in a State that recognizes a ‘Higher Law’”? That crucial question was addressed by the Italian rabbi, theologian, and philosopher Eliyahu Benamozegh (1823-1900) in his magnum opus Israel and Humanity…..
One more thought. The Declaration, as Abraham Lincoln understood, embodies the political philosophy—more accurately the “political theology”—of the American Constitution. Here is what John Adams, another signatory of the Declaration, said of the Constitution: “Our Constitution was made only for a moral and religious people. It is wholly inadequate to the government of any other.” That religious morality is crystallized in the Declaration of Independence on which America stands and which is now being subverted. Sergey Dolgopolski has studied Talmud in his native Russia, Israel and the United States, and in his new book, he’s come to a conclusion: the disagreements in the text’s commentary are a lost art. “What this is trying to accomplish is to show that Talmud is an intellectual discipline, like rhetoric or logic — an art of thinking,” Dolgopolski said. In “What is Talmud? The Art of Disagreement,” Dolgopolski, an assistant professor of religious studies and Jewish studies at the University of Kansas, says that contemporary, mainstream culture encourages agreement as an ultimate goal. However, Dolgopolski argues that the 15th century Talmud shows instances where it’s fine to disagree when someone cannot prove his point is right and another person’s is wrong. A true disagreement, by Dolgopolski’s definition, is when people on both sides are rational and intelligent and understand each other’s point of view. The assumption is that neither side has made a factual error in coming to his or her conclusion. A real disagreement is rare, he said, because there is usually a factual error somewhere. “What we can learn from the art of disagreement of the 15th century is that instead of trying to find a common denominator … the Talmudic method of the 15th century invites us to explore a different alternative. There is a point where there is no way to come to an agreement,” he said. That’s not to say people should disagree on everything. Dolgopolski pointed out that only certain situations meet the conditions of a true disagreement. One example from recent history is that of the Nazis’ attempts at Jewish genocide, he said. Dolgopolski says this has practical application for current world issues. Dolgopolski said he hopes many different audiences will appreciate the book. In addition to his work at the university, where he will teach an introductory Talmud class next spring, Dolgopolski likes to teach in the larger Jewish community. He has taught classes under the auspices of Congregation Beth Israel Abraham and Voliner, where he is a member, and at the Lawrence Jewish Community Center. Dolgopolski was also a lecturer in an educational series presented by the Department of Adult Jewish Learning at the Jewish Community Center in cooperation with KU’s Jewish studies program. And he has just learned that he will be part of the annual “Day of Discovery” Jewish-learning smorgasbord coming up Aug. 30. Jeff Goldenberg, JCC’s director of adult Jewish learning, said he is trying to arrange a course focusing of a few different aspects of Dolgopolski’s new book sometime in the upcoming academic year. Anyone who is interested in such a class may contact Goldenberg at (913) 327-4647. Dolgopolski’s book, published by Fordham University Press, is available for $60 at www.fordhampress.com and www.amazon.com. Professor Doron Ben-Atar’s play, “Peace Warriors,” which he co-wrote with Debbie Pollak, will be performed at the Capital Fringe Festival in Washington, D.C. in July and at the New York International Fringe Festival in August. The play was a semi-finalist in this year’s O’Neill theater competition. A resident of New Haven, where he is active in the Jewish community, Ben-Atar is the chair of the history department at Fordham University, as well as a member of the university’s Middle East studies and women’s studies programs. He is also a fellow of the Yale Initiative for the Interdisciplinary Study of Antisemitism at Yale University and was a fellow at the Dorothy and Lewis B. Cullman Center for Scholars and Writers at the New York Public Library. Ben-Atar’s first play, “Behave Yourself Quietly,” is based on his mother’s experience at Auschwitz. He and his mother, Roma Nutkiewicz Ben-Atar, had previously collaborated on a book, “What Time and Sadness Spared: Mother and Son Confront the Holocaust” (University of Virginia Press, 2006). Raised in Israel, where he played basketball for Maccabi Tel Aviv, Ben-Atar came to the U.S. to study and play basketball at Brandeis University. He has coached soccer and basketball at Ezra Academy in Woodbridge, and chaired Talmud Torah Meyuchad of the New Haven Department of Jewish Education. He serves on the Anti-Defamation League’s civil rights committee and is a founding member of the board of the new Jewish High School of Connecticut. Q: What is “Peace Warriors” about? A: “Peace Warriors” is a dramatic exploration of the fashion of taking anti-Israel positions among the American intellectual elite. A visit from an old family friend sparks rivalries and hidden affairs, as four academics and one teenage girl flaunt their peace activism. Family conflicts spin out of control, while the characters argue war and peace in the Middle East, and in the bedroom. Q: You are an Israeli American and a professor of American history. What inspired you to write this play? A: I wrote “Peace Warriors” because we are living through a worrisome dramatic rise in global antisemitism. Leading the charge is the intellectual elite who are demonizing Israel and de-legitimizing its existence. College classes on the history and politics of the Middle East teach students that Israel is the new Nazi state, and that terrorism against Jewish targets in Israel and around the globe is a justifiable anti-colonial act of resistance. Jewish students and professors who dare to question these positions face an intimidating and corrosive hostile atmosphere. Israeli academics are subject to boycotts and harassment. And the movement to divest university endowments from companies that do business with Israel is rapidly gaining strength. The actual event which inspired the play sounds made up, but it is sadly true. My family and I live in New Haven and are active members of the Jewish community. We got a call a few years ago from our friend, the Yale Hillel director, telling us that a troupe of co-existence actresses were coming to perform at Yale; he asked us if they could stay at our place. The group was supposed to consist of an Israeli Jew and a Palestinian – co-existence activists – a driver, and a tech person. We found out that the Palestinian wasn’t really a Palestinian but an Israeli Arab who lived inside of Israel, and the Arab refused to stay at our house because she hated the Israeli activist and could not bear to be in the same house with her! Various organizations and individuals invest a great deal of money and energy in co-existence. But all too often taking part in these projects involve Jewish self-abnegation. My camp, the peace camp in Israel, has been devastated electorally in recent contests because its activities are characterized by denial of Israel’s claim — we lost our credibility with our own public because we seem to see only the other side. I haven’t altered my convictions. I hate the occupation and believe it has had a brutalizing effect on Arabs and Jews. I never supported the settlement policy, but the conversation about this subject is reduced to a vile shrill. Settlers are the most demonized group in the world. Not to acknowledge their humanity and the life they live — that they live under constant threat — is not fair. Many in the peace camp don’t actually know a single settler. They know more Palestinians. But they imagine settlers as beastly violent fascist fanatics. Q: The press materials for the play report, “All the inflammatory statements about Israel that are uttered in the play are actual quotes of statements uttered by the leading anti-Israel crusaders of our time. However, some anti-Israel statements by prominent intellectuals were so harsh that readers said they would not be believable on stage.” Can you explain? Q: How did you go about getting your play produced? A: The process of getting a play to the stage is as follows. You send it around to different places that you find in the Dramatists’ Sourcebook. Most places get hundreds of scripts and they really don’t have the time or resources to give the scripts a fair look. It is very rare for a theater company to take a risk and produce a new play by someone who is not well-established. I was fortunate. I sent “Peace Warriors” to Blue Line Arts, Inc., a group run by three brilliant men, that does festivals, like the well-known Edinburgh Festival, and they liked it and decided to stage it in American festivals this summer. Q: Your first play incorporated laughter into a story about genocide. Does “Peace Warriors” involve similar in-your-face humor? Many American supporters of Israel who voted for Barack Obama now suspect they may have been victims of a bait and switch. Jewish Americans voted overwhelmingly for Mr. Obama over John McCain in part because the Obama campaign went to great lengths to assure these voters that a President Obama would be supportive of Israel. This despite his friendships with rabidly anti-Israel characters like Rev. Jeremiah Wright and historian Rashid Khalidi. At the suggestion of Mr. Obama’s Jewish supporters — including me — the candidate visited the beleaguered town of Sderot, which had borne the brunt of thousands of rocket attacks by Hamas. Standing in front of the rocket shells, Mr. Obama declared: “If somebody was sending rockets into my house where my two daughters sleep at night, I’m going to do everything in my power to stop that. And I would expect Israelis to do the same thing.” This heartfelt statement sealed the deal for many supporters of Israel. Now, some of them apparently have voters’ remorse. According to Malcolm Hoenlein, executive vice chairman of the Conference of Presidents of Major American Jewish Organizations, “President Obama’s strongest supporters among Jewish leaders are deeply troubled by his recent Middle East initiatives, and some are questioning what he really believes.” I hear the same thing from rank-and-file supporters of Israel who voted for Mr. Obama. Are these fears justified? Rhetorically, the Obama team has definitely taken a harsher approach toward Israel compared to its tone during the campaign. But has there been a change in substance about Israel’s security? In answering this question, it is essential to distinguish between several aspects of American policy. First there are the settlements. The Bush administration was against expansion of West Bank settlements, but it was willing to accept a “natural growth” exception that implicitly permitted Israel to expand existing settlements in order to accommodate family growth. The Obama administration has so far shut the door on this exception. I believe there is a logical compromise on settlement growth that has been proposed by Yousef Munayyer, a leader of the American-Arab Anti-Discrimination League. “Obama should make it clear to the Israelis that settlers should feel free to grow their families as long as their settlements grow vertically, and not horizontally,” he wrote last month in the Boston Globe. In other words, build “up” rather than “out.” This seems fair to both sides, since it would preserve the status quo for future negotiations that could lead to a demilitarized Palestinian state and Arab recognition of Israel as a Jewish one — results sought by both the Obama administration and Israel. A majority of American-Jewish supporters of Israel, as well as Israelis, do not favor settlement expansion. Thus the Obama position on settlement expansion, whether one agrees with it or not, is not at all inconsistent with support for Israel. It may be a different position from that of Prime Minister Benjamin Netanyahu, but it is not a difference that should matter to most Jewish voters who support both Mr. Obama and Israel. The differences that would matter are those — if they exist — that directly impact Israel’s security. And in terms of Israel’s security, nothing presents a greater threat than Iran. The Obama administration consistently says that Iran should not be allowed to develop nuclear weapons. But prior to the current unrest in the Islamic Republic, White House Chief of Staff Rahm Emanuel frightened many supporters of Israel in May by appearing to link American efforts to stop Iran from developing nuclear weapons to Israeli actions with regard to the settlements. This is a disturbing linkage that should be disavowed by the Obama administration. Opposition to a nuclear Iran — which would endanger the entire world — should not be dependent in any way on the issue of settlement expansion. The current turmoil in Iran may strengthen the Obama administration as it seeks to use diplomacy, sanctions and other nonmilitary means to prevent the development of nuclear weapons. But if these tactics fail, the military option, undesirable and dangerous as it is, must not be taken off the table. If the Obama administration were to shift toward learning to live with a nuclear Iran and attempt to deny Israel the painful option of attacking its nuclear targets as a last resort, that would be troubling indeed. Thankfully, the Obama administration’s point man on this issue, Dennis Ross, shows no signs of weakening American opposition to a nuclear-armed Iran. A related threat to Israeli security comes from Iran’s proxies, Hezbollah and Hamas. For years, these terrorist groups have disrupted life in Israel by firing rockets at civilians. The range of their weapons now extends to Israel’s heartland, including Tel Aviv. The Israeli Defense Forces must retain the ability to prevent and deter rocket fire, even if it comes from behind human shields as it did in southern Lebanon and Gaza. There is no evidence of any weakening of American support for Israel’s right to defend its children from the kind of rocket attacks candidate Obama commented on during his visit to Sderot. There may be coming changes in the Obama administration’s policies that do weaken the security of the Jewish state. Successful presidential candidates often soften their support for Israel once they are elected. So with Iran’s burgeoning nuclear threat, it’s important to be vigilant for any signs of weakening support for Israel’s security — and to criticize forcefully any such change. But getting tough on settlement expansion should not be confused with undercutting Israel’s security. Mr. Dershowitz is a law professor at Harvard. His latest book is “The Case for Moral Clarity” (Camera, 2009). Michael Kamber for The New York Times David Stoleru, who works to preserve Jewish heritage in Spain, at the construction site of a school atop a medieval Jewish cemetery in a Toledo suburb last month. TOLEDO, Spain — As this medieval hilltop city baked in the afternoon heat, a group of Jewish leaders gathered beside a freshly dug grave and lowered into it small bundles of flaking, ancient bones. With prayers and a plea for forgiveness for disturbing the peace of more than 100 medieval souls, they laid them to rest in the cool, reddish earth. 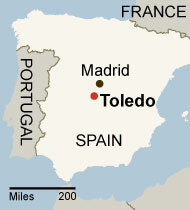 The New York Times Toledo was once the capital of a thriving Jewish community. The quiet ceremony in late June concluded months of delicate negotiations between Jewish groups and Spanish authorities over the fate of the remains of 103 Spanish Jews whose graves were excavated last year during the construction of a school building in a suburb of this historic city. The exhumation drew international condemnation from Jewish representatives and became an important battleground in the quest to preserve Jewish cemeteries all around Spain, remnants of a thriving community that made Toledo its capital before being expelled by Spain’s Roman Catholic monarchs in 1492. The dispute pitted the exigencies of modern society against the rights of a scattered people for whom a permanent tomb is a crucial religious requirement. It stirred friction between Jewish groups eager to protect their heritage but divided over how to deal with a secular government. Tombstones at one of Toledo’s two medieval synagogues are reminders of Spain’s Jewish heritage. The controversy began in September, when builders digging a new foundation at the Azarquiel High School discovered dozens of graves, believed to be part of a Jewish cemetery dating from around the 13th century. The cemetery may extend well beyond the grounds of the school; Mr. Stoleru said he recently saw bones in the ground at another nearby construction site. The government of Castilla-La Mancha, the parched region of which Toledo is the tourist-mobbed capital, halted the digging and stored the remains at a museum pending discussions with the Federation of Jewish Communities of Spain, which represents Spain’s 40,000 Jews. Jewish representatives suggested building a raised foundation to sit above the graves but were told this would be difficult and expensive, according to rabbis and government officials involved in the talks. As talks dragged on, the economic pressure grew, and in February the authorities ordered construction to restart. The facts on the ground built their own momentum: by mid-June, a foundation had been laid and the skeleton of a two-story building stood above the grave site. Meanwhile, international protests spread to New York, Israel and Canada. 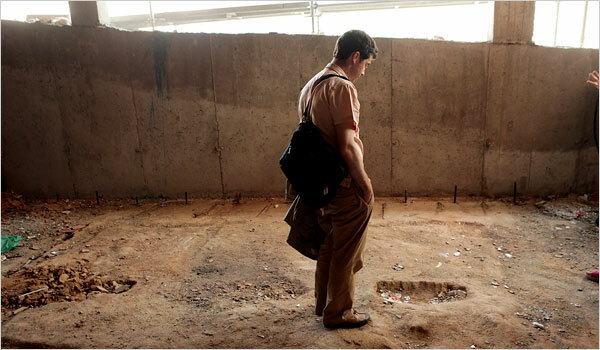 Rabbi David Niederman, president of the United Jewish Organizations of Williamsburg, visited Spain to protest the exhumation, which he said was tantamount to a second expulsion. Thousands of black-clad Orthodox Jews gathered in a Brooklyn hotel in May to mourn the desecration. Finally, on June 18, the parties agreed to bury the remains close to the original graves but clear of the construction site….. In 1775, he was one of those who joined General John Glover’s regiment. Yet, you only have to hear his name to realize that Abraham Solomon was different than his fellow soldiers, even signing the muster roll in Hebrew. For that matter, Solomon’s name on the rolls is one of the earliest references to Jewish people on the North Shore. But not the first. Sephardic Jews — with roots in Spain and Portugal — came to Salem as early as the 1600s. Most arrived much later, explains Alan Pierce, in the late 19th and early 20th centuries, pouring in from Eastern Europe, hoping to escape violent religious persecutions and economic privation. These latecomers would have a profound impact on the region. Their story is included in Pierce’s book, “A History of Boston’s Jewish North Shore,” a small but invaluable paperback that charts the growth of the Jewish community, its institutions, places of worship and people. It includes many photos, but also text describing communities in Lynn, Salem, Beverly, Peabody, Marblehead and Swampscott. Essays and brief oral reminiscences give a vivid picture of the people. Soon, he began to see the importance of preserving a record of the Jewish presence on the North Shore. He joined the Jewish Historical Society. With the late Avrom Herbster, he authored “The Jewish Community of the North Shore.” His latest effort expands on that one. “This book is dedicated to our children,” Pierce explains. “It’s important for my sons’ generation to see how we used to be. It helps to define who I am and who we all are.” Jewish retailers are noted going back to William Filene who opened his Salem shop prior to the Civil War. Plush Jewish institutions were established, like the Kernwood Country Club in 1914 and Marblehead’s Dolphin Yacht Club in 1950. The cornerstone of the long-awaited Museum of the History of Polish Jews, a major step towards reviving Poland’s Jewish heritage after the Holocaust, was laid in Warsaw on Tuesday, organisers said. In the works for a decade, the long-awaited multi-million dollar, multi-media facility is expected to open its door in 2011. “Prior to the Holocaust, the Shoah, Warsaw was one of the world’s main centres of Jewish life where politics, culture, publishing and Jewish theatre thrived — in fact it was the leading centre, surpassing other cities in the US and Europe,” project director Jerzy Halbersztadt told guests at the site. During the Holocaust, the district was inside the infamous Warsaw Ghetto, where all told Nazi Germany imprisoned more than 400,000 Polish Jews, many of whom died of starvation or disease or were sent to death camps. The bricks used as the cornerstones came from the World War II-era foundations of the last headquarters of the Council of Jews of the Warsaw Ghetto, the scene of a famous wartime uprising, Halbersztadt said. “So we have come full circle and beginning the construction of the museum is also an element of closing this circle,” he added. Led by the Jewish Fighting Organisation (ZOB), the doomed World War II rebellion was among the first armed insurgency by partisans against the Nazis in all of occupied Europe. The museum will face the imposing monument dedicated to those who died in the 1943 Warsaw Ghetto Uprising. Cantors, or Jewish liturgical singers, from around the globe sang at the foot of the black marble monument Tuesday as part of the ground-breaking ceremonies. “It’s surreal to be here — this (Warsaw) was the epicentre of cantorial music in the early 1930’s and 40’s,” president of the international Cantors Assembly, David Propis, from Houston, Texas, told AFP. Around a hundred cantors from the United States, Canada, various European states and Israel will sing in the Polish National Opera in Warsaw Tuesday evening, reviving the art of Jewish liturgical song nearly wiped out in Poland by the Holocaust. Designed by Finnish architects Rainer Mahlamaeki and Ilmari Lahdelma, the façade of the future museum will be symbolically ruptured, opening onto undulating walls in an allusion to the Biblical parting of the Red Sea. The museum’s virtual arm — the “Virtual Shtetl” web portal was launched in June — is aimed at giving it a head start online before its doors open. Prior to World War II, Poland was home to some 3.5 million Jews, roughly 10 percent of it’s pre-war population with nearly a millennium of Jewish settlement within its borders. Some three million Polish Jews perished in the Holocaust which claimed six million of pre-WWII Europe’s estimated 11 million Jews. A third — 350,000 — of Warsaw’s pre-war population was Jewish. Today, out of an overwhelming Roman Catholic population of 38 million, various sources peg Poland’s Jewish population at just 3,500 to 15,000. Slated to cost a total 144 million dollars (102 million euros), the museum is being co-funded by the Polish government, the city of Warsaw and funds raised from private and institutional donors world-wide.